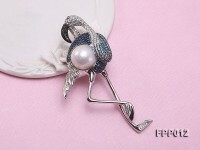 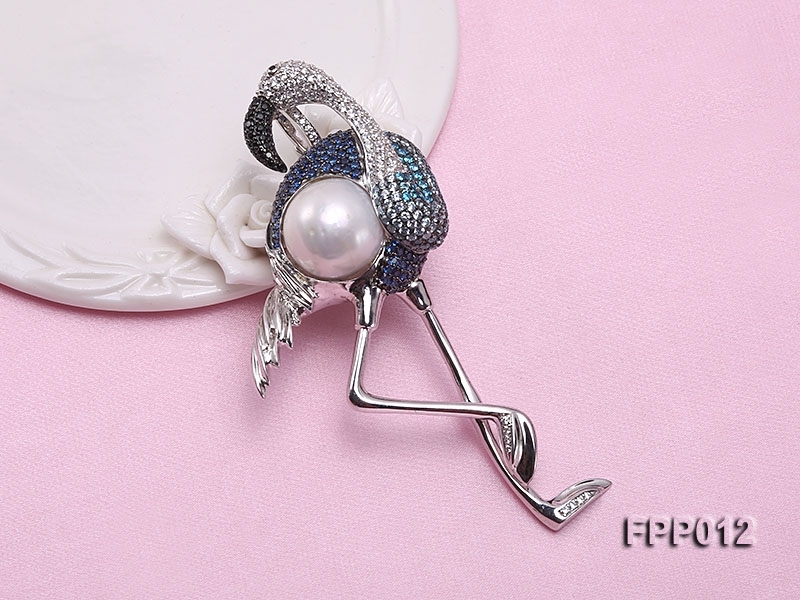 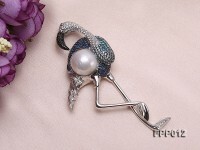 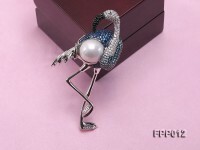 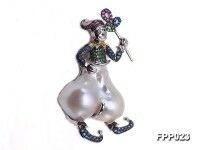 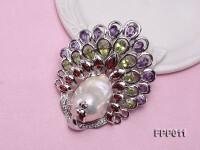 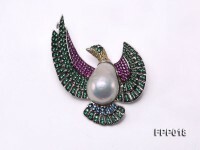 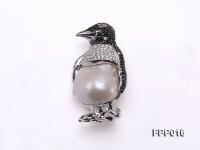 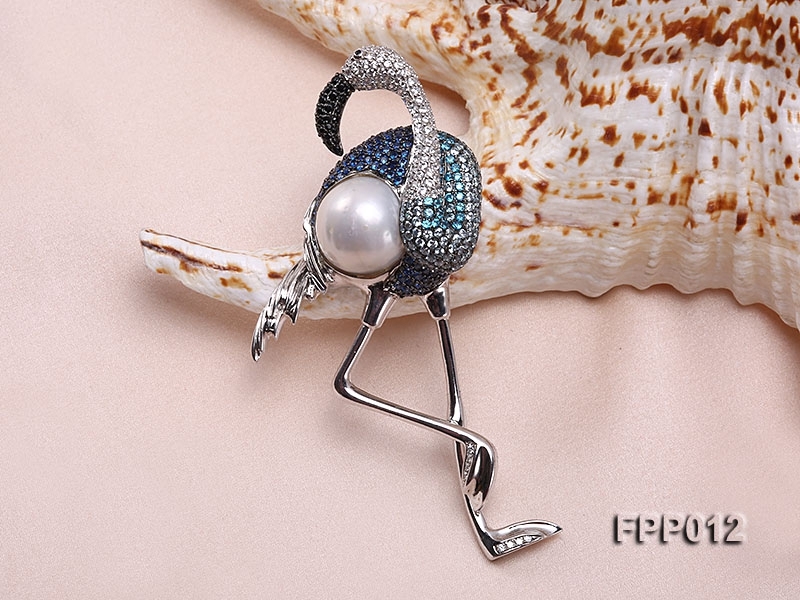 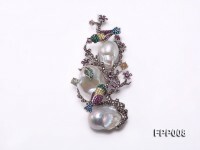 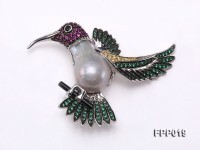 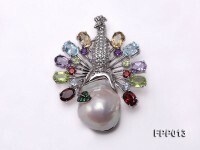 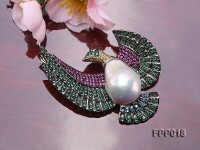 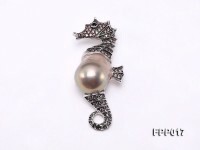 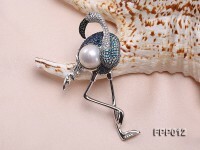 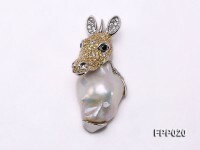 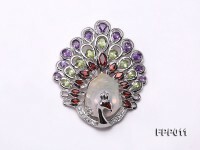 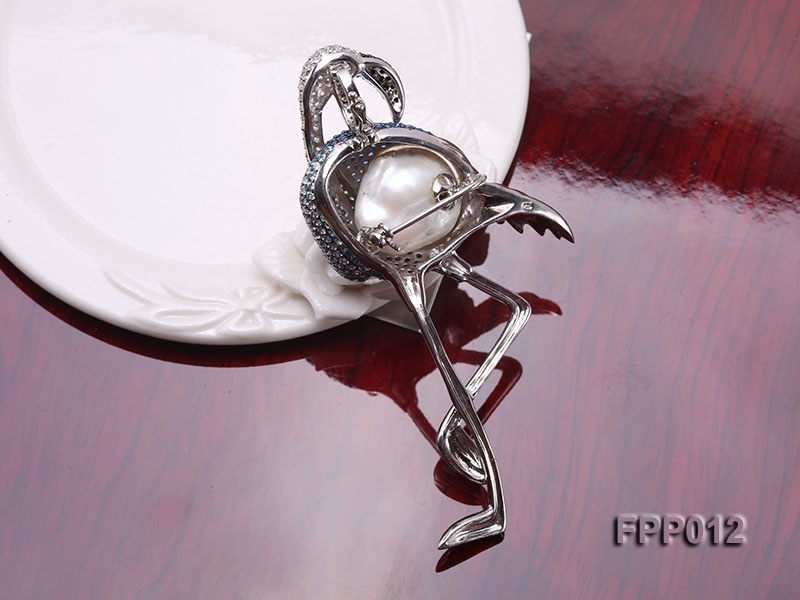 Fine white baroque pearl pendant/brooch with colorful zircons for sale. 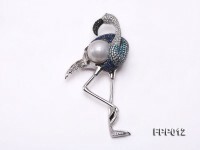 The baroque pearl pendant measures 85x45mm crafted in lovely crane style. A lustrous baroque pearl artfully fits in the sterling silver setting which is thickly dotted with colorful zircons all over. 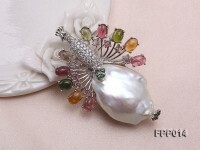 The craftsmanship of setting is unique and exquisite to ensure lasting beauty while wearing. 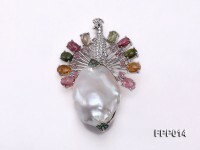 It will take over 10 years for a pearl to grow to this huge size and each one is a piece of artwork by nature. 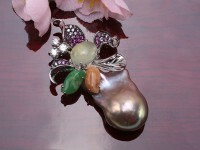 The desinger skillfully combines his talent and creativity with the baroque pearl itself in crafting this masterpiece. 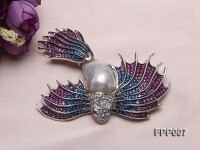 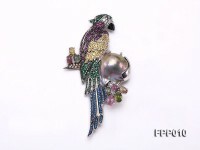 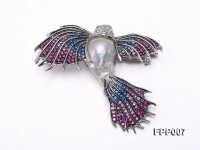 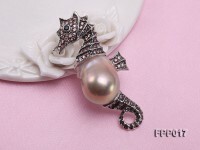 It can serve as both a pendant and a brooch.